A great-value 4-CD set with a selection of music to suit every Christmas mood and occasion - CD 1 is a selection of carols performed by the Choir Of St. Paul's Cathedral in London. 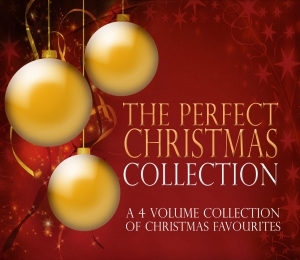 CD 2 is "Have Yourself a Merry Little Christmas", a programme of favourite Christmas hits and songs performed by some of the biggest names in popular music. CD 3 is "Non-Stop Christmas Party", a segued selection of Christmas tunes mixed for dancing and lively background music. CD 4 is "A Traditional British Christmas", a selection of nostalgic Christmas songs by well-known Britsh artists of the post-war era.